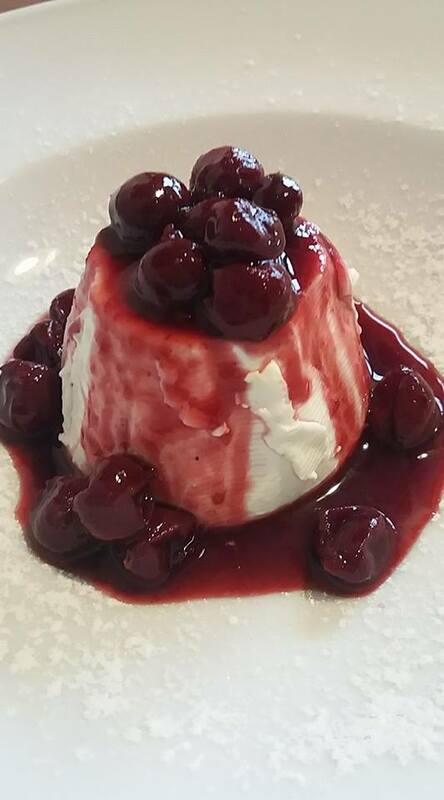 MY ‘PANNACOTTA QUEEN’ STORY, A confession of a Restaurateur. Through my life I have gained a lot of experience in various fields. One of my longest and most successful occupations was that of a restaurateur of Italian Cuisine on Australia’s Gold Coast. It consumed every waking hour of my day. The restaurant, ‘Giulio’s on Broadbeach’, became very well known, popular with the locals and the many tourists who flocked to the Coast all year round. We were always very proud of our restaurant, the awards and accolades that were bestowed upon us..and both many famous Australian and overseas guests that walked through our doors. We had excellent staff, I felt I trained them very well, and chefs that day and night continually were consistant creating innovative Italian cuisine of the highest quality. Our son Brando was our head chef, and ourapprentice was a young 18 year old, Jonathon Bathelmess who has gone on to become the extemely successful owner of Apollo Restaurant in Potts Point,Sydney,and more recently, Apollo Ginza in Tokyo, Japan. We had Italian mammas lending their beautiful Italian hands in the kitchen, Elvira from Sicily making the handmade pasta and gnocchi, Teresa and Wilma making the sauces and soups, Genoeffa was the lasagne and cannoloni queen, Claudio from Rome baking the bread, with Maria and Fabio taking care of the dishwashing and keeping the kitchen sparkling clean…while I ran the front of house, welcoming our countless guests, and keeping an eye on all that was happening both out front and in the kitchen, leaving me little time for much else..HOWEVER, I had a passion for Pannacotta! I loved to make this popular dessert and decided nobody, (including my Italian Mammas) could make it as well as ME! So I became known as THE PANNACOTTA QUEEN …until one day when disaster struck! One of my most long time loyal customers called in one day to reserve a table for himself, his wife and 6 friends arriving soon from the USA. He was out to impress…asking me if my pannacotta and berry couli would be on the dessert menu on the night in question, I remarked, ‘OF COURSE..ESPECIALLY FOR YOU!’ On the night, they enjoyed their entree and main courses very much, the wine flowed, and then the moment arrived to serve my pannacotta. The American guests were full of the highest expectations. They had heard about this pannacotta supposedly second to none, and as the waiter served the delicious looking delights I was feeling extremely proud of myself! So full of satisfaction and pride, until a few moments later my guest rose from the table and came towards me with the most pained expression of his face that was screwed up like a sour lemon. ROBYN!! WHAT DID YOU DO TO THE PANNACOTTA? I had no idea what he was talking about: I had made it as usual, same ingredients, or so I thought! TASTE IT ROBYN! TASTE IT! Reaching for the pannacotta I took a spoonful and swallowed…. Thankfully I can’t remember many other similiar disasters..perhaps a few double bookings were made, and a few misunderstandings that were always quickly rectified, but my pannacotta tragedy remains one of the most memorable, causing me many sleepless nights!